Richmond, VA | July 19, 2018 Offit Kurman is pleased to announce today that W. Martin Williams has joined the firm. Mr. Williams’ affiliation expands Offit Kurman’s reach and capabilities in Virginia south to Richmond and the surrounding areas, providing greater opportunities for the firm and its clients. Mr. Williams represents commercial and residential landlords and property managers, and has significant experience with creditor rights litigation. He also advises business owners on day-to-day decision-making as well as contracts and business strategies, negotiations of business deals and agreements, and collections of all types of accounts. 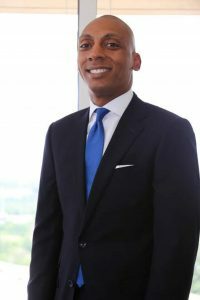 A graduate of Randolph Macon with a Bachelor of Arts in Business & Economics, the University of Richmond with a Masters of Business Administration and the College of William & Mary Law School, Mr. Williams is admitted to the Virginia Bar and the Federal Bankruptcy Court for the Eastern District of Virginia. To learn more about Martin Williams and to get in touch with him, please visit his attorney page. More information about Offit Kurman’s comprehensive legal services can be found here. For details and directions to Offit Kurman’s offices in Virginia, click here.